In celebration of Electronic Records Day, Hawaii State Archives will be sharing the progress being made towards a Hawaii State Digital Archives which will preserve and manage Hawaii’s historical digital resources. What is Electronic Records Day? Now in its third year, Electronic Records Day is an opportunity to share information about what Hawaii State Archives is doing to manage our state’s digital resources and to enlist your help in preserving electronic records. This day is designed to raise awareness among state government agencies, the general public, related professional organizations, and other stakeholders about the crucial role electronic records play in our lives. To kick off the celebration, Governor Abercrombie and Lt. Governor Shan Tsutsui signed a proclamation establishing 10/10/2014 Electronic Records Day in Hawaii. 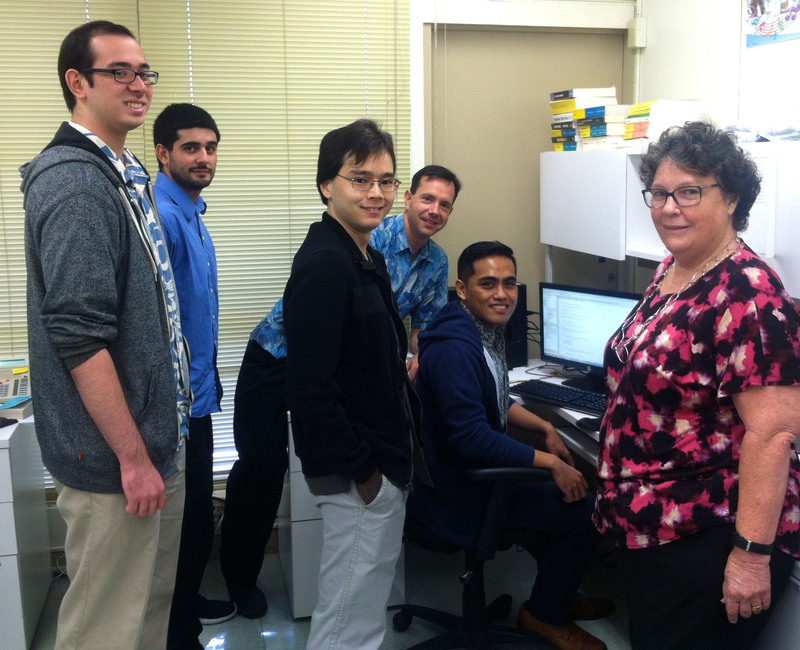 State Archivist Susan Shaner (right) stands with members of her digital archives team, (from left) digital archives specialists Taylor Kennedy and Robert Patch, acquisitions specialists Micah Takabayashi, project consultant Adam Jansen, and systems developer Dongie Agnir.